HOUSTON – Fiesta Mart, a Houston-based grocery chain with 63 stores, is being acquired by Groupo Comercial Chedraui, a Mexico-based retailer, for $300 million. Chedraui already has 60 grocery stores in California and other states operating under the El Super brand name. The addition of Fiesta Mart makes the chain a strong national force in selling groceries to the Spanish-speaking market in the U.S.
Chedraui is acquiring Fiesta Mart from Acon Investments, a Washington, D.C. private equity firm, which has owned the retailer for about three years. Fiesta has 32 stores in the Houston area, in addition to stores in Dallas and Austin. Fiesta Mart was founded in Houston in 1972 by Donald Bonham and O.C. Mendenhall. The El Super chain is part of the Paramount, Calif.-based Bodega Latina Corp., a subsidiary of Chedraui, which is headquartered in Veracruz. “The acquisition of Fiesta allows us to meaningfully expand into Texas via an established, well known supermarket operator. We look forward to welcoming Fiesta’s talented employees and working together to create the premier Hispanic grocery retailer,” said Bodega Latina CEO Carlos Smith. 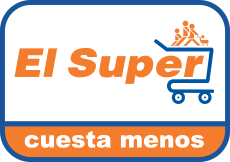 The firm currently has 59 El Super stores in California, Arizona, Nevada, New Mexico and Texas.